We have been serving Coppell and the surrounding DFW areas for over 10 years. 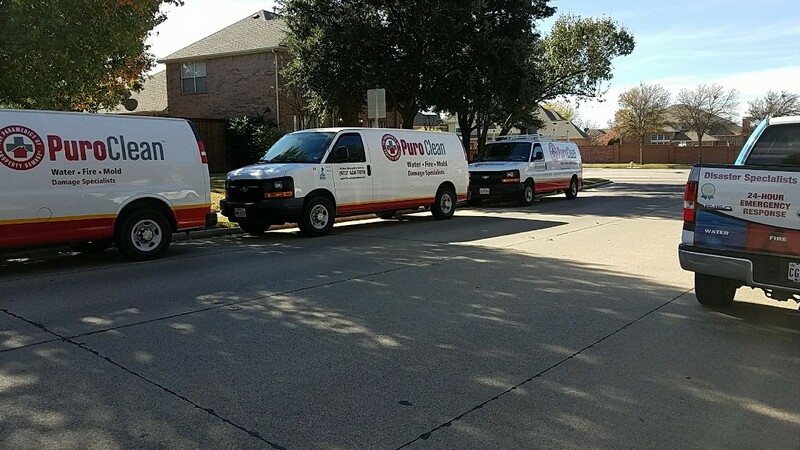 PuroClean Restoration Specialists is a locally-owned property damage restoration and re-construction contractor that serves the DFW metroplex. We are ready to respond to water damage and cleanup emergencies from flooding, broken water pipes, water heater breaks or overflowing toilets in homes or commercial properties. Our experts also handle fire and smoke restoration, mold removal solutions, and reconstruction services to help you get your property back to normal. This was an emergency water damage service and they responded in a rapid manner. Paul worked with us thru the entire clean up and kept us appraised as to what was going on as well as plans for resolution. I would definitely recommend PuroClean Restoration Specialists to anyone in need of such services. I've been very impressed with the knowledge of their staff and attention to detail. I'm just walking out of a house in Coppell that had a major flood last Thanksgiving. We responded the day after Thanksgiving and dry them out and remove a lot of sheetrock and they remembered who we were and requested that we came back because they had some type of a slab leak a couple of days ago. So I just got done pulling some baseboard and setting up some drying equipment. Just arrived back at this house in Dallas for my final day here. I've been drying out this kitchen carpet for the last couple of days and it was very close yesterday should be dry today so I plan on picking up the equipment and wishing them a Happy New Year. I'm wrapping up at this house in Coppell that I've been working on for a few days now. Just did the final Monitor and collected the equipment and moving on to the next one. I am at a very large loss in Coppell Texas. The homeowners were away for a few days over the Thanksgiving Day Holiday. They came back and found that one of their water heaters in the Attic above the second floor had ruptured. Sheetrock and insulation fell through water ran down and affected the entire downstairs and we are here in full force with a crew of about 5 to start demo and the drying process. About to wrap up a job I started Friday here in Coppell.